Another long overdue blog post in process. I start to feel like a broken record when I continually have to share that the reason something was delayed, or I had to cancel a trip, or I bowed out of an activity I was very much looking forward to was that I am recovering from yet another flare of some sort. I may be outwardly very sick seeming in appearance. But most of the time, I am still functioning because I have to, and keeping it together the best I can. But in regards to my energy levels and symptoms, I am struggling. And that is what things have been like since November when my partner and I went to Denver and San Francisco. An absolutely whirlwind few days of travel. But it came with a price. One that I am still not quite fully recovered from it seems. First of all, I have to say that the Food Allergy Blogger Conference FABlogCon was amazing. Jenny Sprague really outdid herself this year. And the people I met, brands I learned about, and presentations were inspiring, educational, and validating. I am so grateful that I had the opportunity to attend again this year. I just regret that it has taken me this long to report back about it. The main thing I took home from the 2017 conference was a sense of community and strength. I rarely feel understood or validated, simply because it can be so difficult to navigate the real world with food allergies. I don’t expect the level of understanding or even accommodations that we experienced during the conference when I go back into the real world. But I do feel that we all deserve compassion, AND for people to at least WANT to understand. I have seen great strides, and I can tell that the more work the folks who were at the conference do, the better things out there in real life will be. I was incredibly impressed with so much of what I heard. There are some determined and resourceful humans out there fighting for this cause, and I am thrilled to have connected with all of them at FABlogCon. Here are some of the photos of the vendor fair, conference, and social events that we snapped during our brief adventure in Denver. I am certain there are more photos floating around that I hope to share at a later time. But for now at least I can look back with such a sense of pride and comfort knowing what an incredible group of people I have in my corner. If you are considering attending a conference in 2018, and have any interest, personal experience, or compassion for food allergies, you should absolutely attend. So far this month, which also happens to be my birthday month, the Feud with Food crew has managed to accomplish quite a bit of food related activity without going too terribly far from our home base of Kansas City, MO. We attended a Tiki Thursday Plantation Rum Tasting at The Kill Devil Club in downtown KC. Soon after that, we attended a handful of birthday outings, where various cocktails and food options were offered. There was a birthday related food day/night that included two separate visits to the only 100% dedicated gluten free establishment in Kansas City – t.Loft, along with a delicious dinner at Tannin Winebar & Kitchen in the Crossroads area of KC, another gluten free/vegan dessert at Cafe Gratitude, and a custom cocktail at Snow & Co.
We stopped in at Whole Foods post birthday for some groceries, and lucked upon the Farmers & Food Artisans Road tour, where I was delighted to meet Callie England (founder/owner of Rawxies), and Hilary Kass (founder/owner of Ancient Grains Bakery). This was a really awesome event, and I can only hope that some of the folks shopping that day, who normally aren’t buying local, or paying attention to the source of their food purchases, may have been impacted in some way by the opportunity to meet the representatives who were there sharing their food and knowledge. 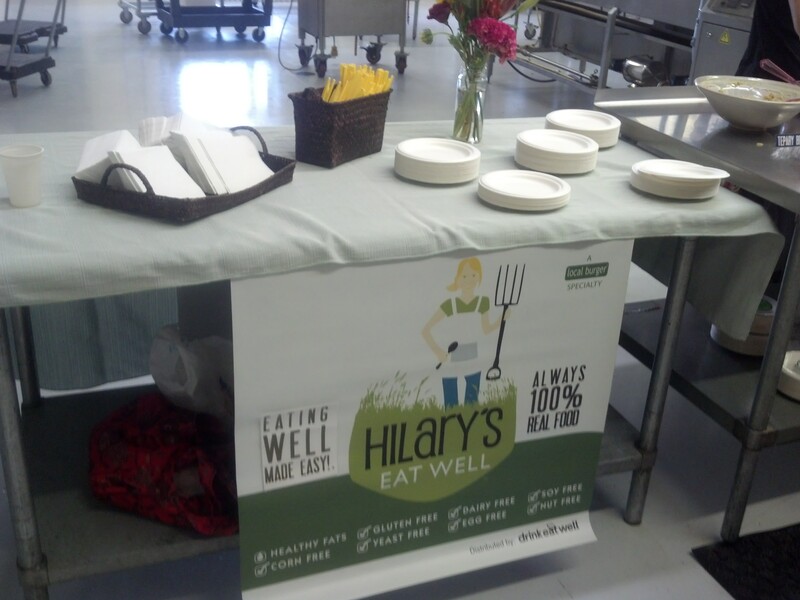 Last stop thus far was in Lawrence, Kansas at the Open House for Hilary’s Eat Well. We had the chance to meet the staff, tour the new facility, and try a variety of products INCLUDING a few new options that will be launching I believe in October. I am incredibly excited about this particular food related visit because I wholeheartedly believe in Hilary’s product and Hilary. 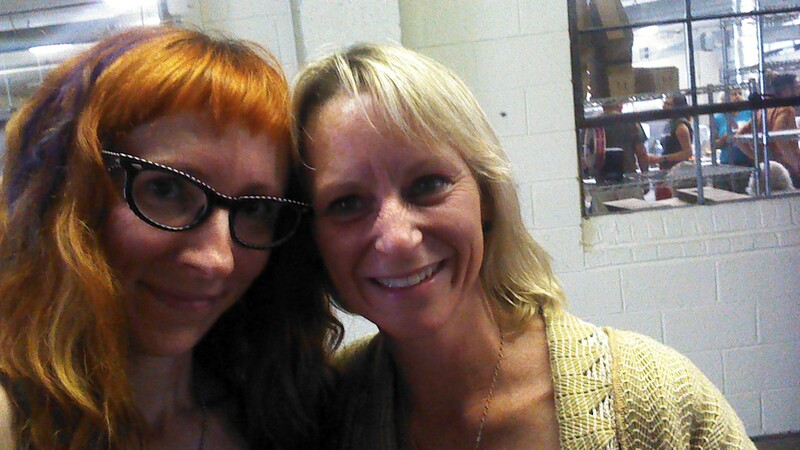 I was previously a devoted customer at the sustainable restaurant she used to own (Local Burger). And I have been anxiously awaiting the next step in her food movement with the distribution of her products nationwide. They offered plenty to sample at the event – burger “bites” of all of the different veggie burgers, along with two meat options, kale salad, veggies, dairy free dressing, dessert, wine, beer from Free State Brewing Co, and local kombucha from KANbucha. 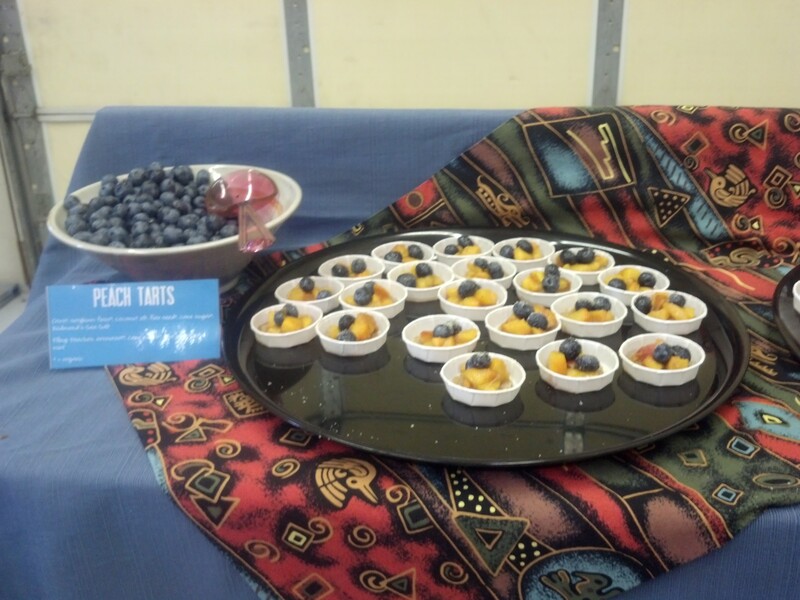 They even had samples of the two new flavors – Hemp & Greens and Root Veggie. 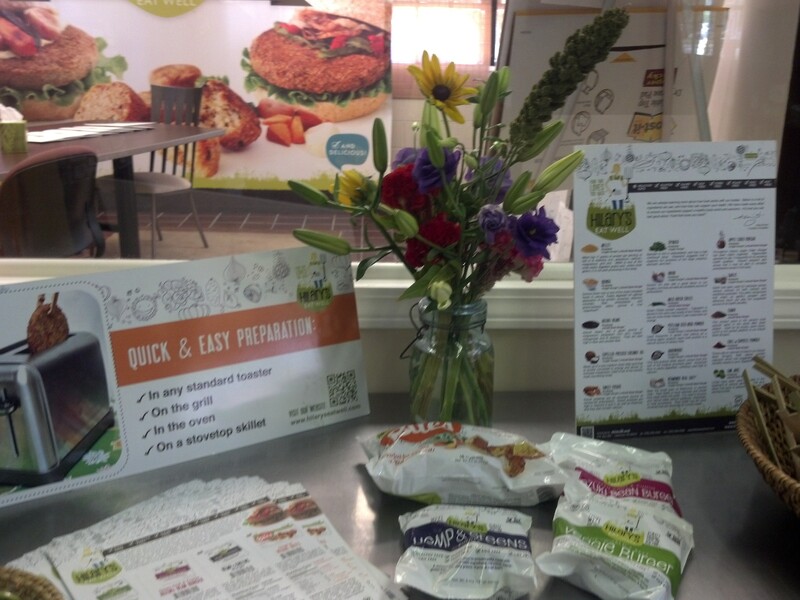 I’m pretty much now in total love with the Root Veggie Burger, and cannot WAIT for it to hit the stores. It was not only delicious. But it was SAFE for me to eat. I also now have quite the soft spot for the tasty little tart pie crusts from Ancient Grains that were served at Hilary’s Eat well, too. If only I had not been so busy chatting, and soaking in the great energy there, I might have eaten the entire platter. They were even good by themselves. I am so proud of the local business owners, who are blazing the trail in this world of REAL FOOD and sustainability. I was genuinely inspired by every person I came into contact with at the open house. We were very impressed with what we saw, and are thrilled that we had the opportunity to attend the event at the new facility. Gluten Free Dining / Businesses across the U.S.